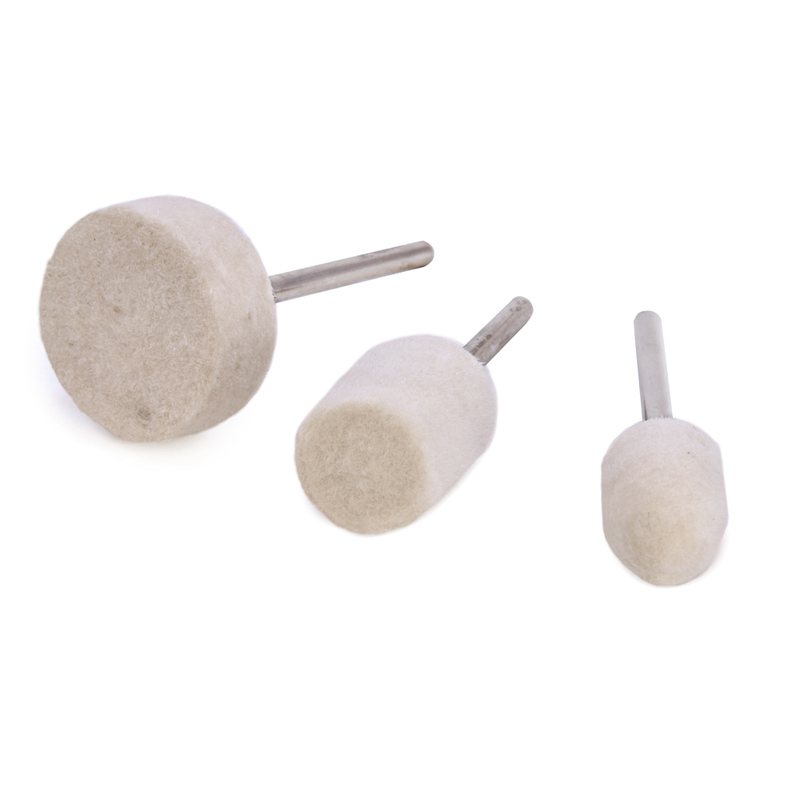 Felt Polishing Set includes 3 different shapes suitable for polishing metals, plastics, ceramics and more. Great for use with Flitz polish (#60346 and #86638, available separately) and other polishes and rouge. 3/32" shanks.